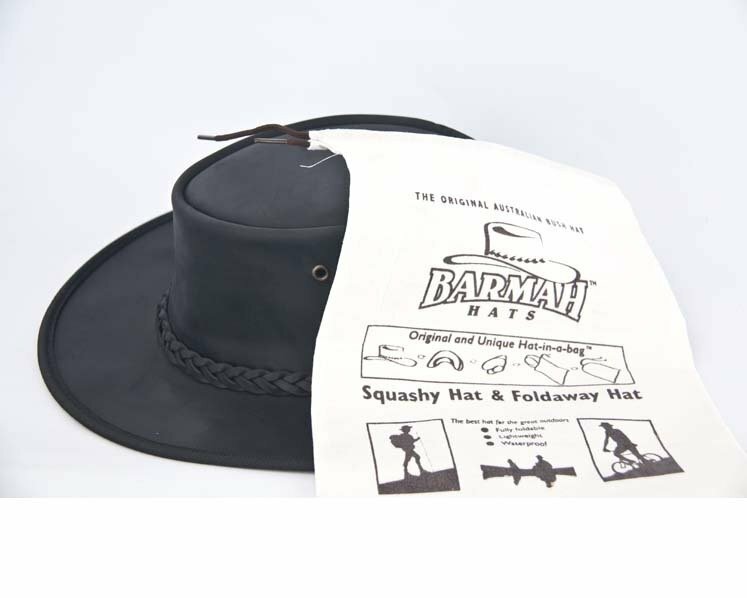 Hats From OZ has teamed up with Barmah hats to provide you the best Australian hats on the market. 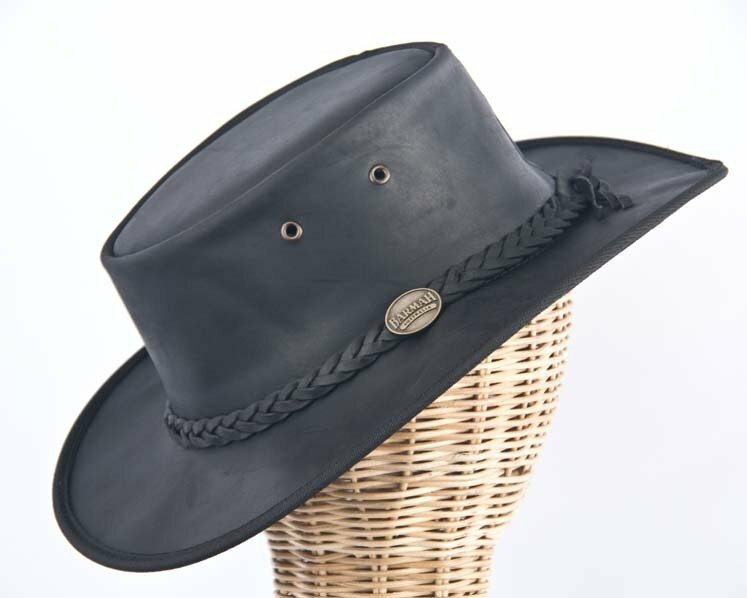 This original classic black Australian outback bush hat is made from genuine full grain leather with vintage oiled/waxed finish. Designed to look old when new! Hat is soft, fully crushable and foldable and comes with Calico bag. Hats From OZ is Australia #1 online hats store. Please note — minor scratch and marks are “natural features” of the leather due to harsh Australian conditions.